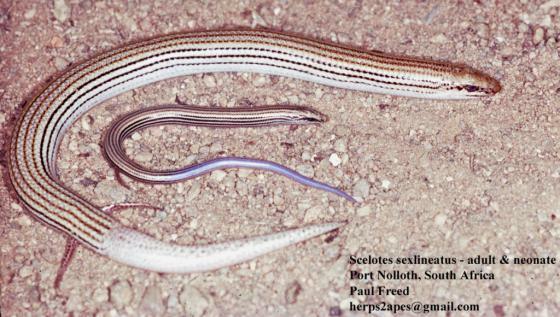 Can you confirm these amateur observations of Scelotes sexlineatus? Types Holotype: ANSP (not found by Malnate, 1971), no locality or collector. Comment Listed as a synonym of Scelotes bipes by BOULENGER 1887: 414. This species lost its forelimb entirely and retains only two digits on the hind limb.